In November Russia’s governmental delegation and representatives of business quarters took part in the week of Asia-Pacific Economic Cooperation whose key event was the APEC leaders’ summit in the Korean town of Pusan. APEC is not a formal organization as it has no Charters. However it is thought to be ranked No.2 as a representative world forum below the UN. Its value is above all due to an overall potential of the participants: APEC represents 21 countries with over 2,600m of population (41% of world figure), a total GDP of US$23 trillion (56% of world volume), and a foreign trade volume of US$8,400bn in total (45% of world figure). Development of the Asia-Pacific Region to which in the view of many experts the center of gravity of world politics and economy is gradually shifting, is really amazing. One can often hear suggestions that an economic miracle is being born here. There is a certain reason to say so. However, a more pragmatic approach is the one I like more. After all, one can only hope for a miracle yet. Here we witness the results of large-scale and intensive work being carried out by the APR economies. Suffice it to say that the region produces two thirds of the global GNP and a considerable part of world investments is concentrated here. Russia seeks to make its meaningful contribution to the economic development of this region. The annual growth rates of goods turnover of our country with APR economies are over 20 percent. For example, trade with China increases by 20-30 percent annually and by the end of the current year is likely to reach a record level for our states – 25 bln. US dollars. The same trends can be seen also in our performance with other APR economies. In our actions and plans we proceed from the understanding that Russia is an inalienable part of the APR. This region is not only a space of rapid economic growth. Here we witness positive effects of globalization, that is, gradual leveling-off of social and economic development of different regions of the world. Another APR distinguishing aspect is high dynamics of integration processes which positively influence the formation of a new and more equitable world order. This desire to address regional problems collectively is of great importance and value. Besides, we see a real desire and willingness of the APR economies to learn from the experience of others. Take the example of the states of Europe which have gone their own road to solidarity and mutual support. They came to understand that well-thought-out integration based on smoothly functioning institutions and mechanisms can effectively ensure security and prosperity. We realize that development of Russia can only be successful if we participate most actively in the regional integration process. Constructive involvement in these processes is our strategic choice and a most important task for the foreseeable future. 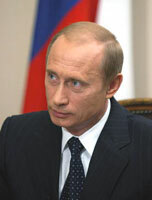 Russia was guided by precisely these considerations when in 1998 it joined the Asia-Pacific Economic Cooperation forum. In the APR context today it is the most representative mechanism for consultations and collaborative discussions on key regional and international issues. Yet, the time has come to assess the results and the possibility of timely fulfillment of the Bogor Goals, i.e. the program of establishing a free and open trade and investment regime in the region. I would emphasize here that it is the strategic objectives defined in Bogor, rather than details, that are important. In my opinion, the APEC does have something to offer to the world. The principal point is that all the APEC economies, including Russia, have deliberately chosen the path of trade and investment liberalization and have already gone through different in length, but equal in significance, parts of this way. In general, from the very beginning of our participation in the APEC Russia emphasized its technological potential which has excellent prospects. And not only in the industrial area, but in area of medical and biological technologies as well. APEC can be proud of its role in controlling the SARS. Now time has come to use that experience to control the avian flu. This is our common problem. That is why we should strike this epidemic a preventive blow, lest the avian flu becomes a "human" disease. By saying so I refer not only to our experience in taking quarantine measures, but also to joint programs for the development and production of vaccines. Russia possesses an extensive experience and potential in this sphere. We take a very serious and responsible attitude to the areas of our common activities, such as energy and transport. Because of its geographic position and resource potential – not only raw materials but also technological and intellectual one – Russia is prepared to play a key role in the formation of a new transport and energy architecture in the APR. Naturally, we are prepared to do that together with our partners, employing their potential, including investments. Acceding the APEC seven years ago, Russia understood very well its unique potential as a transit territory. Transportation of goods through our territory proves to be much cheaper than the choice of other trade routes. I am referring to the cargo flows between the two powerful centers of the world economy – Pacific and European. We have already accumulated a meaningful practical experience in this sphere. However, such projects require international cooperation within the framework of a vast region. The APEC is precisely the mechanism for such cooperation. I will cite here an example, may be unexpected for many, the TransKorean main route. This project which aims at providing the delivery of goods from the South to the North of Korea is going gradually forward. But at a pace that, because of the slow progress in the "Korean nuclear issue", cannot be called rapid. The existence of such a project which makes the cost of transportation of goods between Europe and Asia significantly lower is one of the elements of patient efforts which Russia, together with other participants in the six-party negotiations on Korea, is taking to make the Korean Peninsula a zone of peaceful cooperation and development. Sooner or later it will become such a zone. Then all of us, the APEC members, will cooperate actively in the implementation of many projects which the region vitally needs. I urge everybody to ponder on those great possibilities which the transport projects under consideration within the framework of the Shanghai Cooperation Organization now open up. These are the transport and other main routes crossing the extensive space of the Central Asia. They also offer great prospects for transit between the Pacific and European regions and will directly influence the accelerated development of the regions through which these main routes pass. Participation in the APEC is an undeniable and long-term priority of the foreign policy and foreign economic policy of Russia towards the APR. Our objective is to promote economic and social development of our country, above all the regions of Siberia and the Far East. Two main and interrelated tasks are obvious in this context. The first one is to apply in our country common standards and collective practical experience of the APEC consistent with our national interests, requirements and potential. The second one is to promote, through the APEC, Russian technologies, conceptual designs, methodologies, as well as specific products, technologies and equipment. All these can be used to attain program objectives of the APEC. Relevant potential is available in Russia. I am sure, such a form of "Russian invasion" will only be welcomed by our APEC partners.